This is page 2 of the Featured Watches section of the Alan's Vintage Watches site. It's a collection of many wristwatches and a few other odds and ends. For each watch, click the link or the photo to get to a page dedicated to the watch. There are other pages of watches as FEATURED WATCHES PAGE 1., and FEATURED WATCHES PAGE 3. TIMEX Ivory Dial Camper, December 2017. A colorful and stunning version of the ongoing Camper series. This was initiated by TIMEX Japan in November 2015 with a green case Camper, which was a recreation of the 1980s-1990s mechanical Camper. Since 2015, there have been several versions. This one is in many ways a departure from the rest, and is truly spectacular. 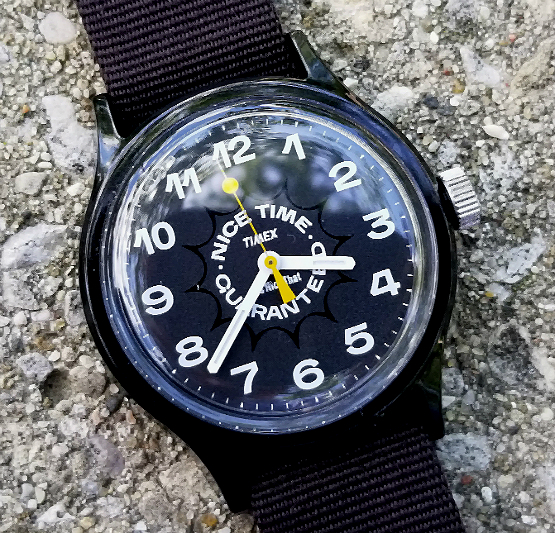 TIMEX mini-Camper, from circa 1983. 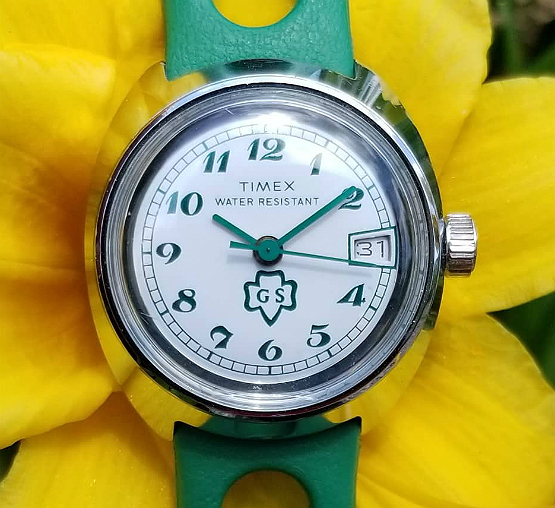 A nice-looking military-style TIMEX mechanical in a green single-piece plastic case. Mysterious, to me. I've only seen this one. Mirror, mirror, on the wall. 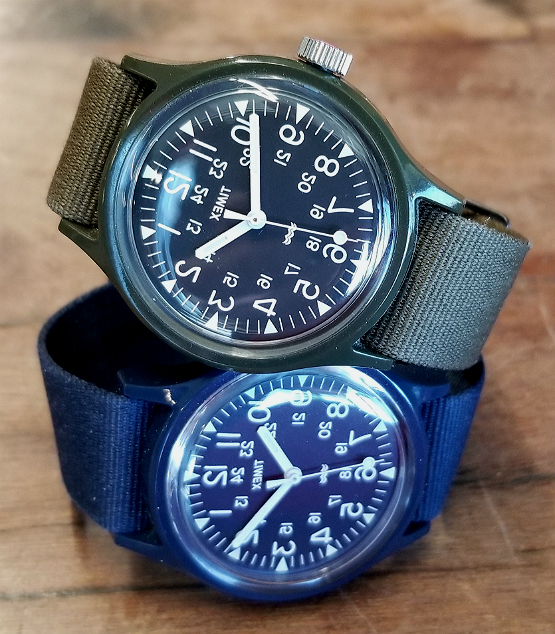 Review of all four of the watches in the Japan-exclusive collaboration series TIMEX x Engineered Garments x BEAMS. The "Original Camper," November 2015. The "revival" of the 1980s-1990s classic mechanical Camper watch. Review and "origin story" of this amazing rebirth. "Since 1964..."
December, 2017. Interesting TIMEX collaboration with It's Nice That, and Camelot, a German typefoundry, to create a watch centered around "typography-led design." it's all explained in the link, but the watch references decades of dial fonts of TIMEX watches to create a bespoke font, with hand-lettered quality. Timex Girl Scouts watch, 1977. Mechanical, green and white, excellent shape. About 26 mm. 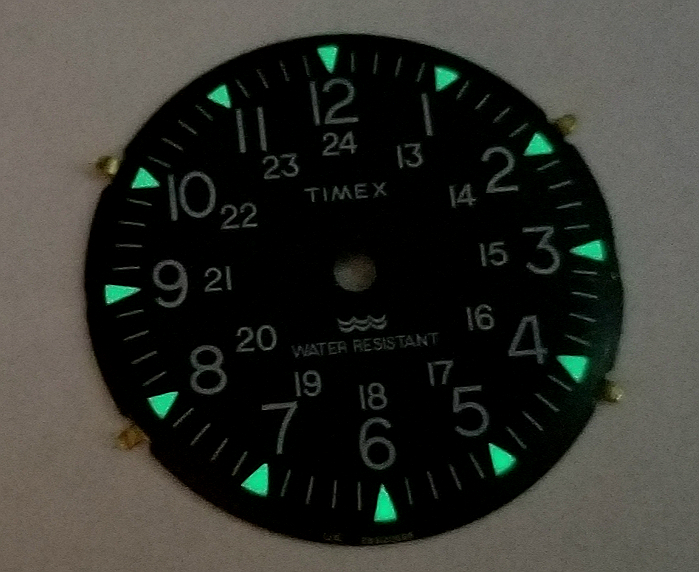 Timex Marlin Blackout reissue, July 2018. Mechanical watch. 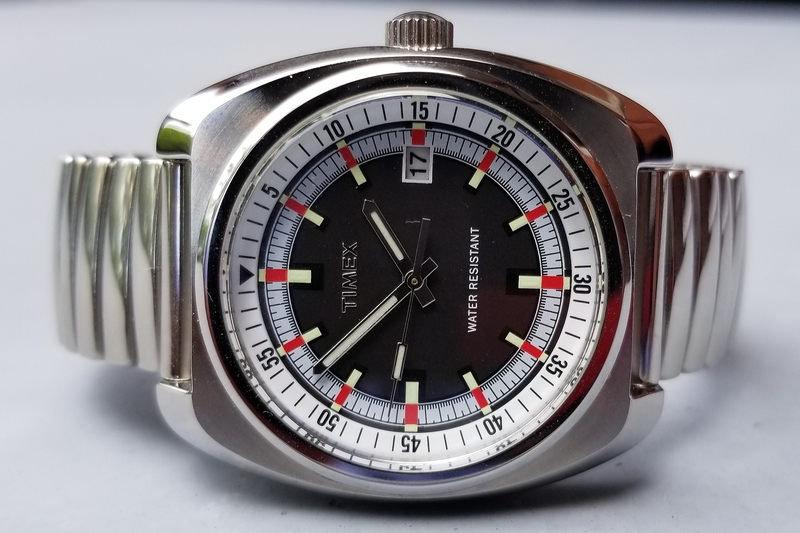 Very similar to the earlier Timex Marlin reissue, from November 2017, this one has a black dial, and steel color hands. 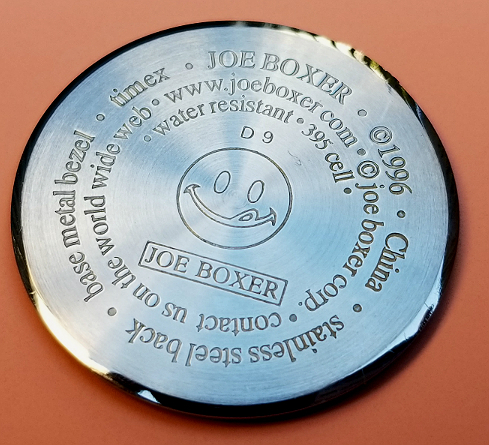 A reverse of the earlier version. Very nice. Sold exclusively through Todd Snyder New York. TIMEX "mini" Camper, circa 1983. This small version of the classic Camper Watch appears to be very rare. Here it is on the left pictured next to a magazine ad featuring the watch, from 1983. About 24 mm, mechanical. No luminous. See link for more details. Let me know please if you know more about it. 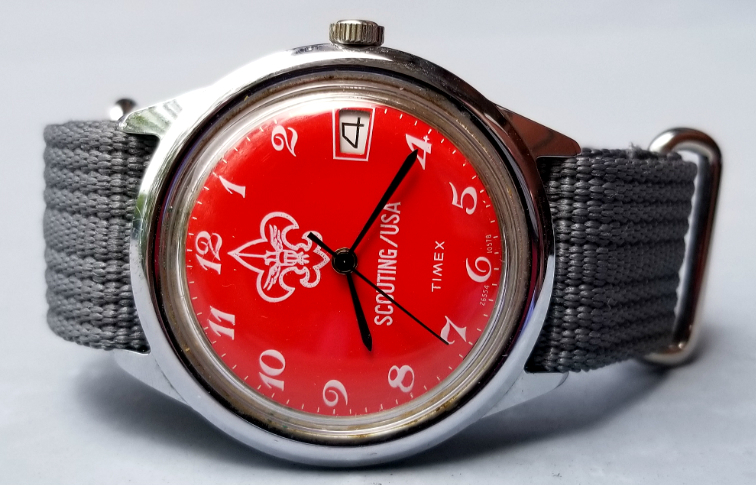 1978 Boy Scouts TIMEX watch. Very red. Large size. Controversial "SCOUTING/USA" logo. 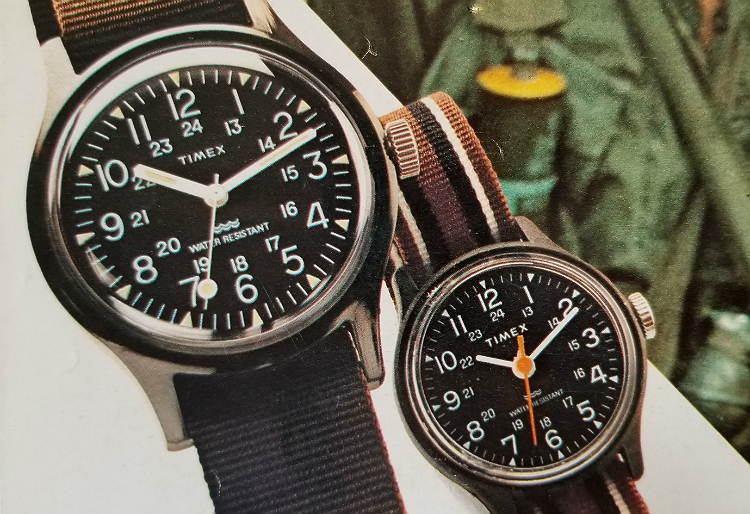 TIMEX Camper index page. 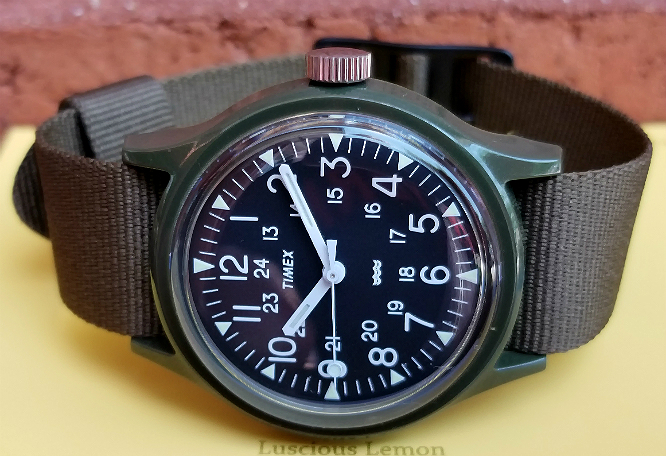 Links to all the individual reviews of all the TIMEX Camper watches I own. In chronologic order of dates of production. McDonald's Happy Meal STEP-iT activity tracker, 2016. 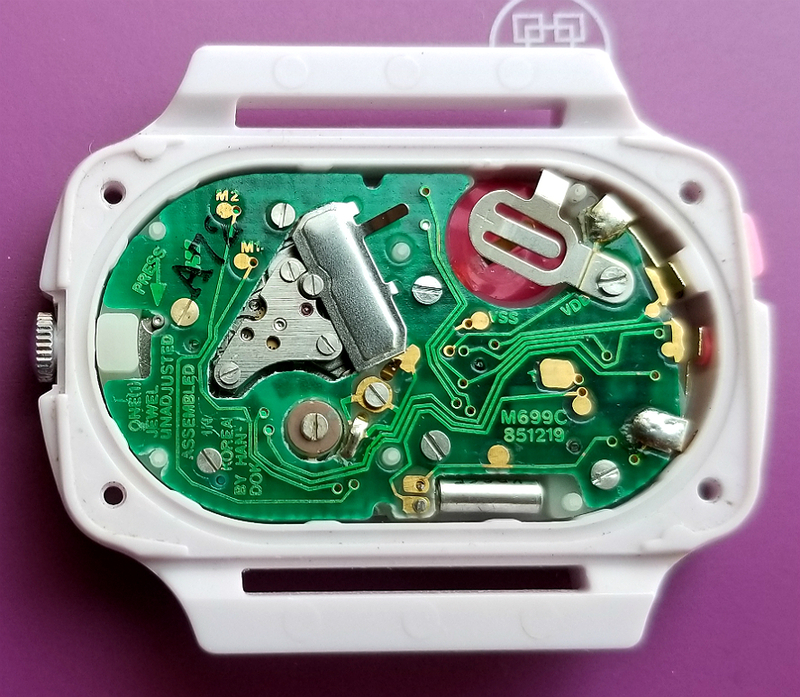 This device, which measured how many steps you took was recalled because it caused rashes and / or burns. Also, the Happy Meal was invented in Guatemala. Read on, folks. 1987 collaboration, TIMEX x Playskool. 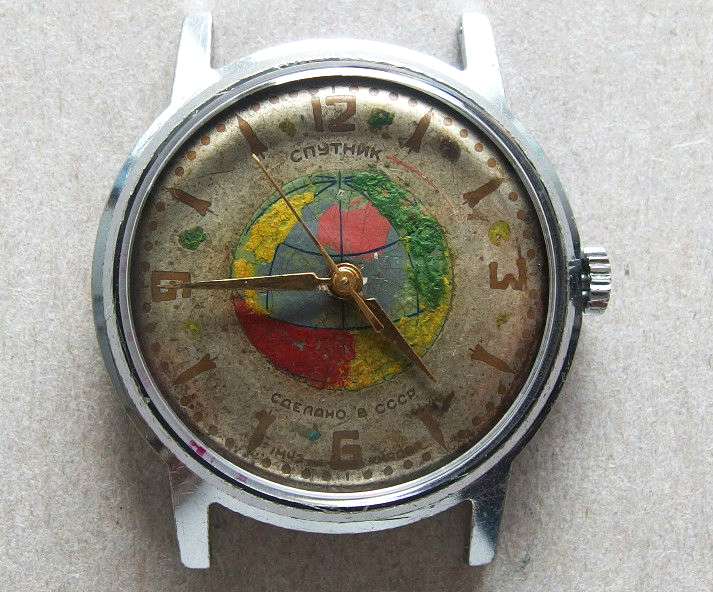 A seemingly rare watch for children, to help them tell time, called TEACH ME. Pink dial, fixed lugs, has analog as well as digital readout. Pretty big for a kids' watch, in order to accommodate the two watches on one face. 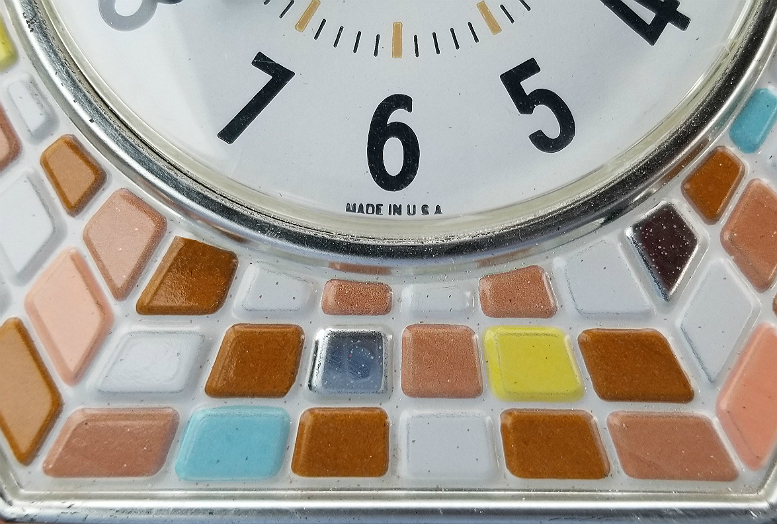 1950s or 1960s electric clock from TIMEX, with faux tile decoration. Hexagon shape. Runs very well. 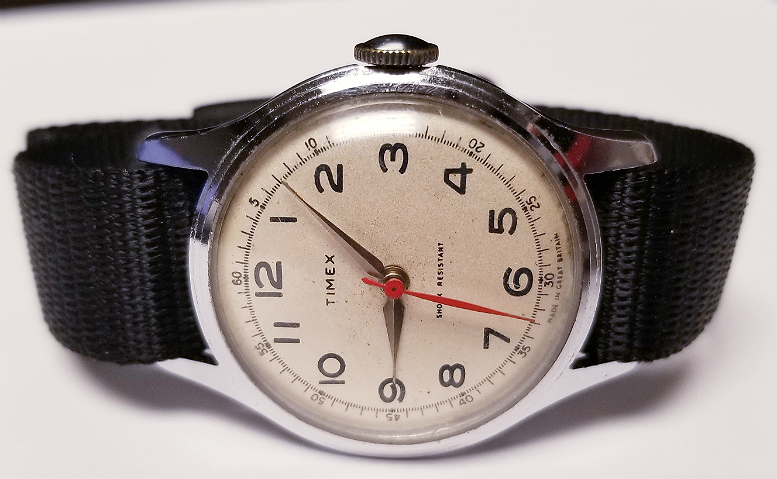 1950s TIMEX wristwatch made in Scotland, not a "Marlin." What is the model name? I don't know. "Shock Resistant." 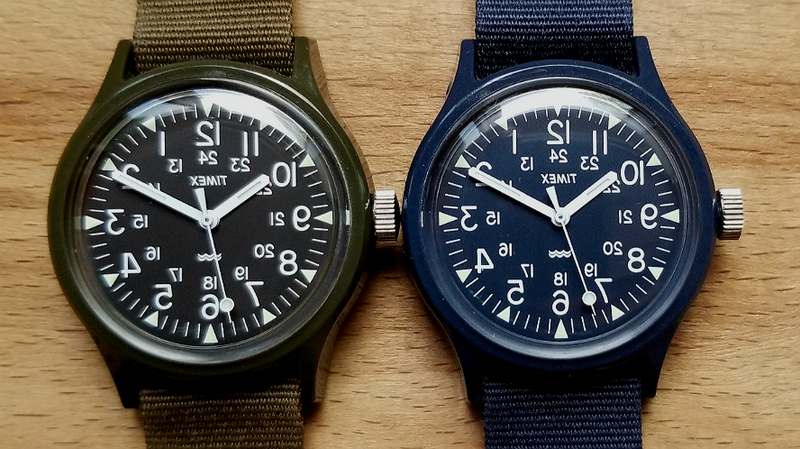 Timex Originals, "Circa 2010." Recreation of a large, colorful 1970s Marlin, model T2N392. Link also has some pics of the original 1973 watch that this is modeled after. 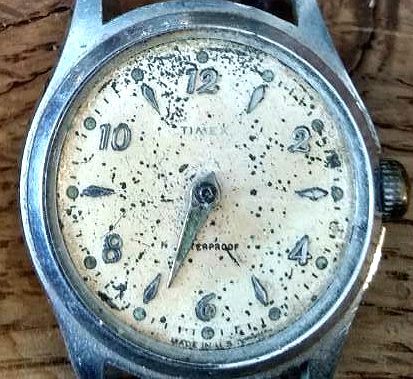 Early 1950s TIMEX with fixed lugs, a very uncommon feature to a TIMEX from any era. SHOCKPROOF. Mechanical movement made in Scotland, uses the V-CONIC escapement, with ARMALLOY balance studs. Portuguese-market TIMEX! 1976, with QUI in the day window, for THURSDAY. This is very similar to another watch I've had for a few years (link here), but made in Great Britain, and with English language for the day window. The country of manufacture of this TIMEX is obscure. I believe these to be extremely rare. 1950s Darkroom Timer - SINGER Master Time-O-Lite. Device to time the exposure of photographic prints in the darkroom. Dial glows in the dark. I love the red knob. I have to include this. It's not my watch. But it's someone's attempt to clean up the dial on a Russian-made "Sputnik" watch. This is so tragic, it has come full circle and is somehow weirdly beautiful. Like a piece of accidental folk art. 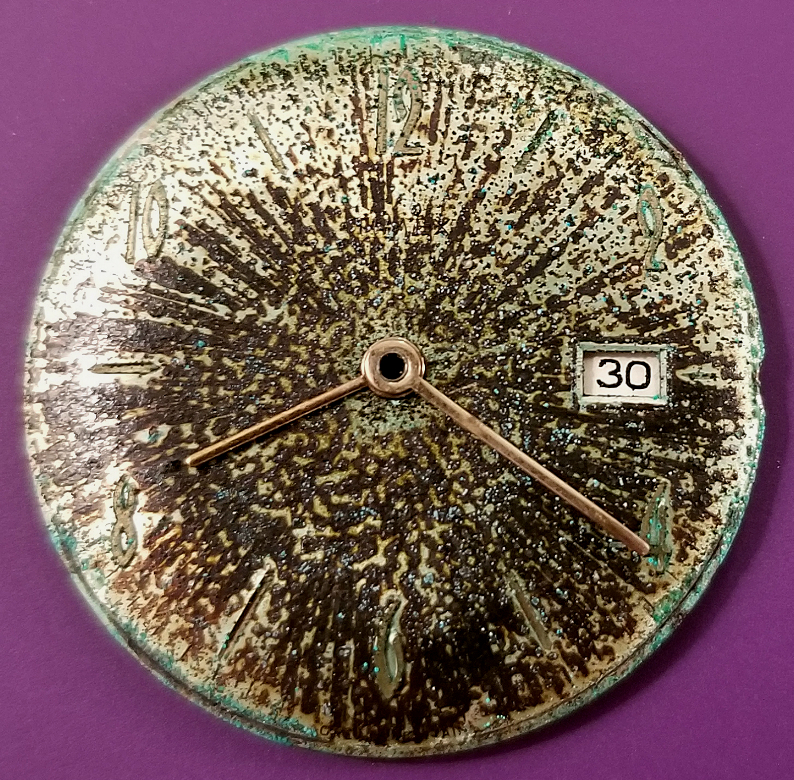 If you know the real appearance of this dial, you can see how far off this is. The paint job is amazing. 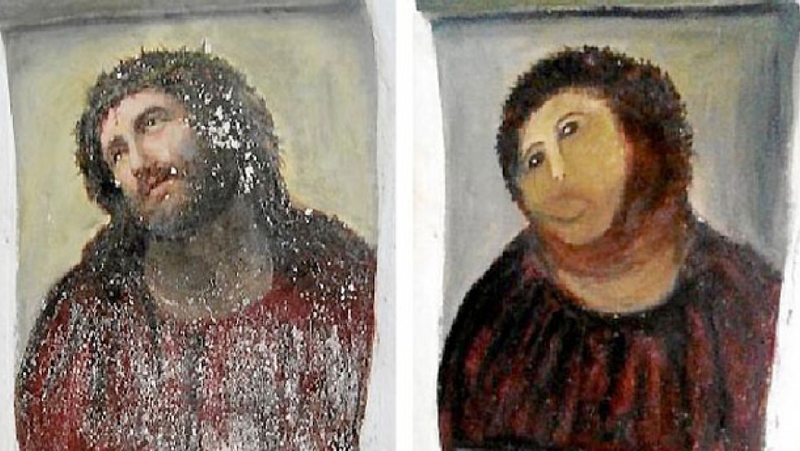 I am not sure if they were painting in continents which had faded away. It reminds of me of this. 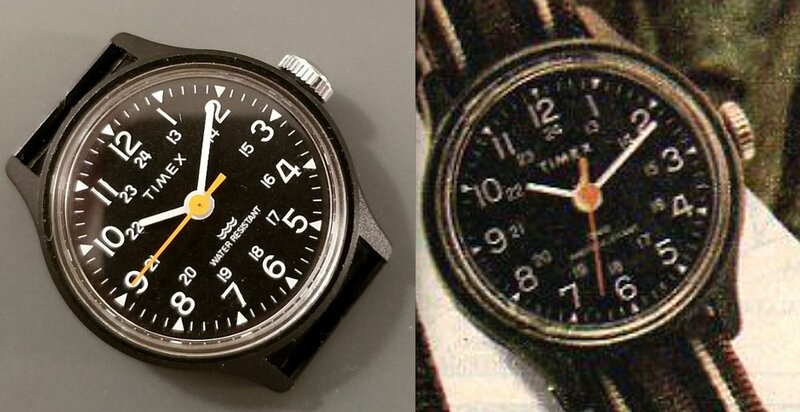 This is a mysteriously rare 1974 version of a TIMEX Sprite. I've never seen it before it showed up on my radar September 2018. The design, to me, is vivid and stunning. Read on. 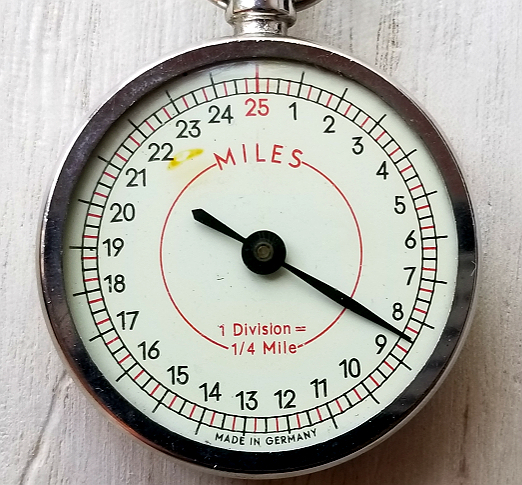 Mechanical pedometer, West German made. You wear it on your belt. Has a pretty nice movement, pics inside. 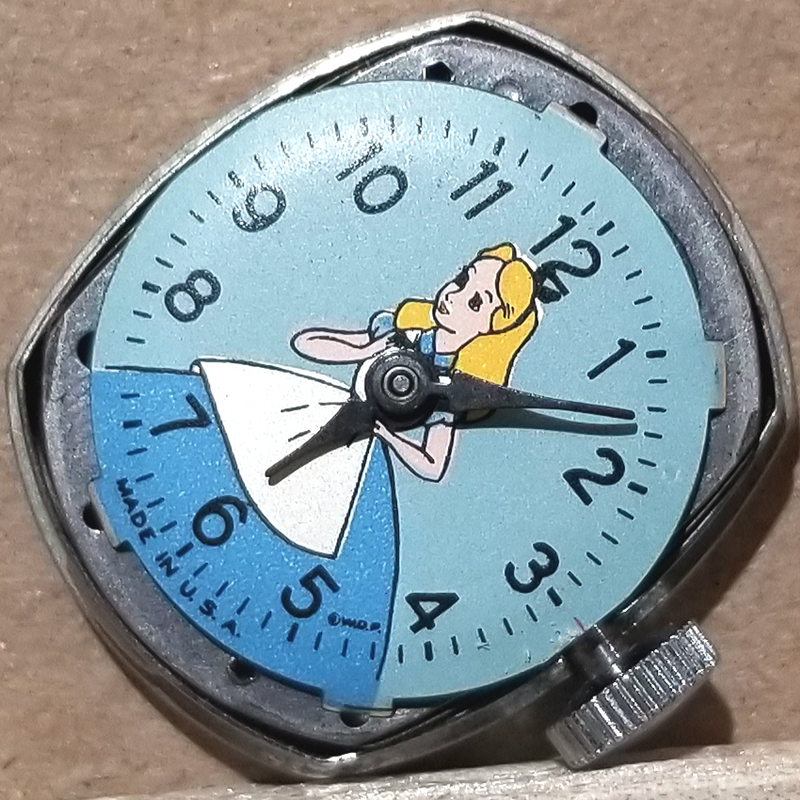 Timex Alice In Wonderland vintage character watch, 1950s. This is not about underpants. At all. But I love this watch for what it is. I bought this watch because of one specific reference on this very busy caseback. TRASHED TIMEX. Gallery of Timex watch dials and watches, in various states of dereliction and decay. Quite varied appearances, almost like a form of art. END. X TIMEX X NEIGHBORHOOD 18004 WATCH. 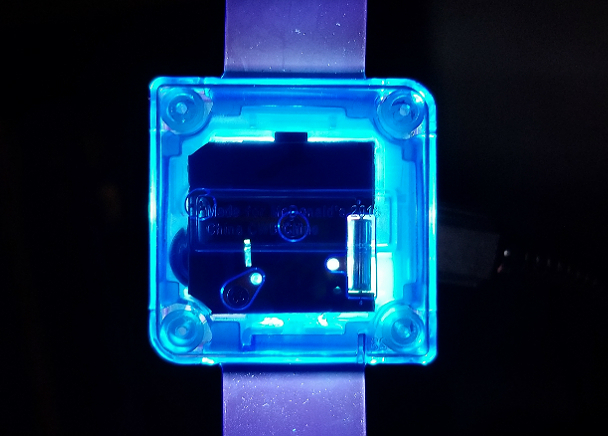 This watch was released October 2018, collaboration with END. clothing in England, and the Japanese streetwear brand NEIGHBORHOOD. 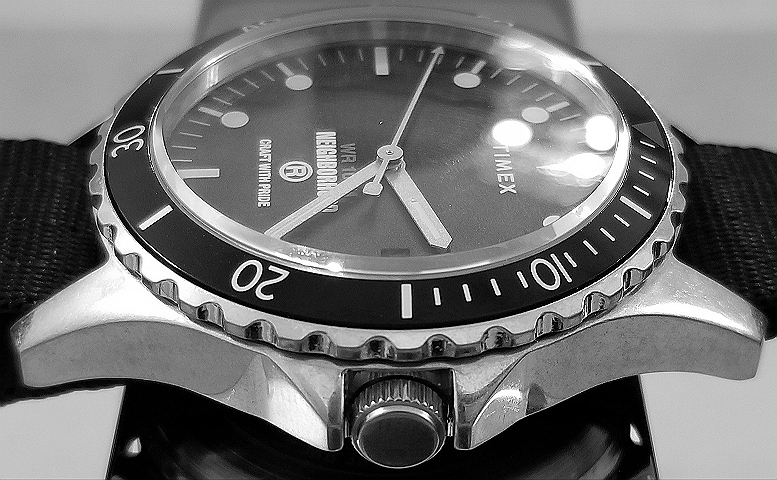 A diver type watch called 18004, said to derive from an earlier watch called OG NAVI and/or NAVI 18004. If anyone has information about the original from this may have been derived please let me know. Nice watch, 100 m water resistance. Not the green one! 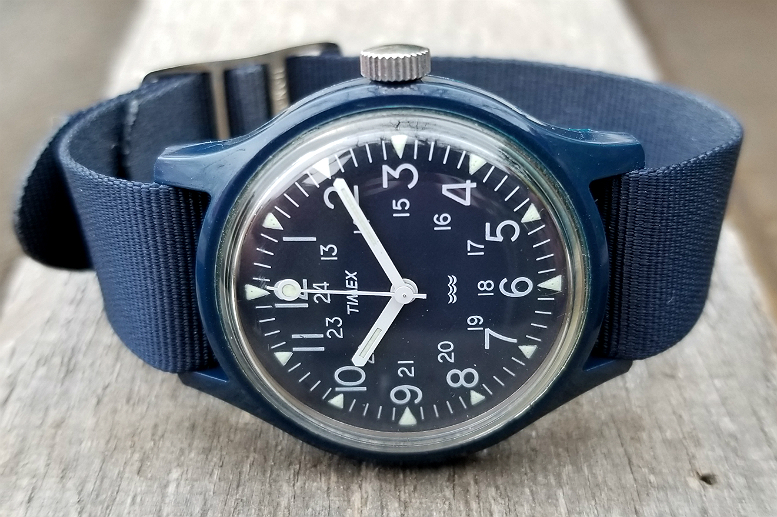 Rare blue dial and case Camper Watch. Mechanical, from March 1992. 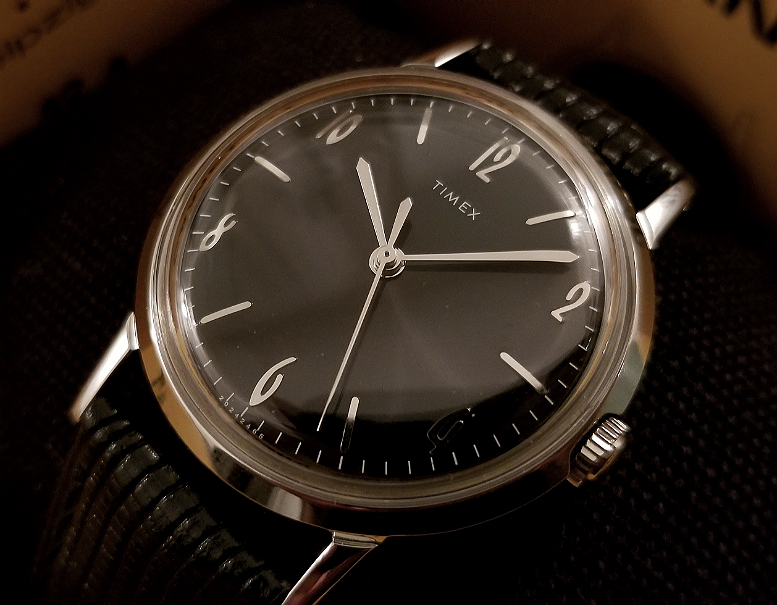 It is a TIMEX, but it is also a FALCON. 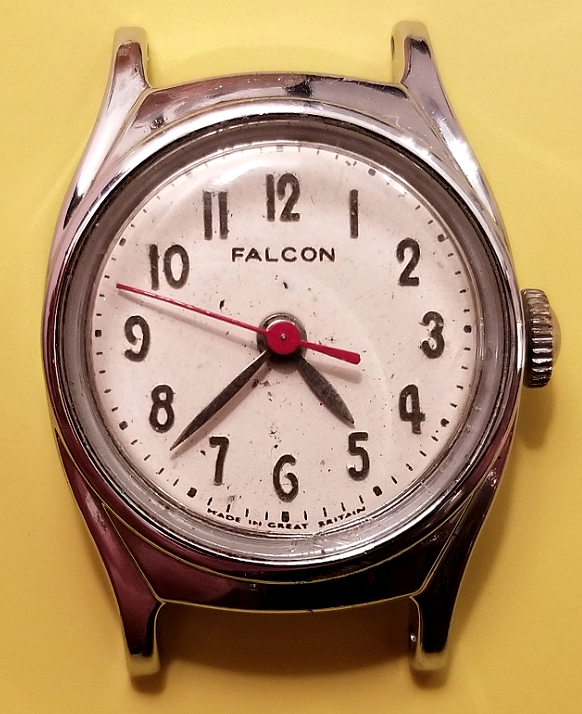 Oddball watch from US TIME, 1950s, has FALCON on dial, and TIMEX on the movement. It's clearly "a TIMEX" but branded as FALCON. Made in Scotland. Read on, and help me out if you know more. Basically, pre-TIMEX. Ingersoll / US TIME small wristwatch, 1950s most likely. 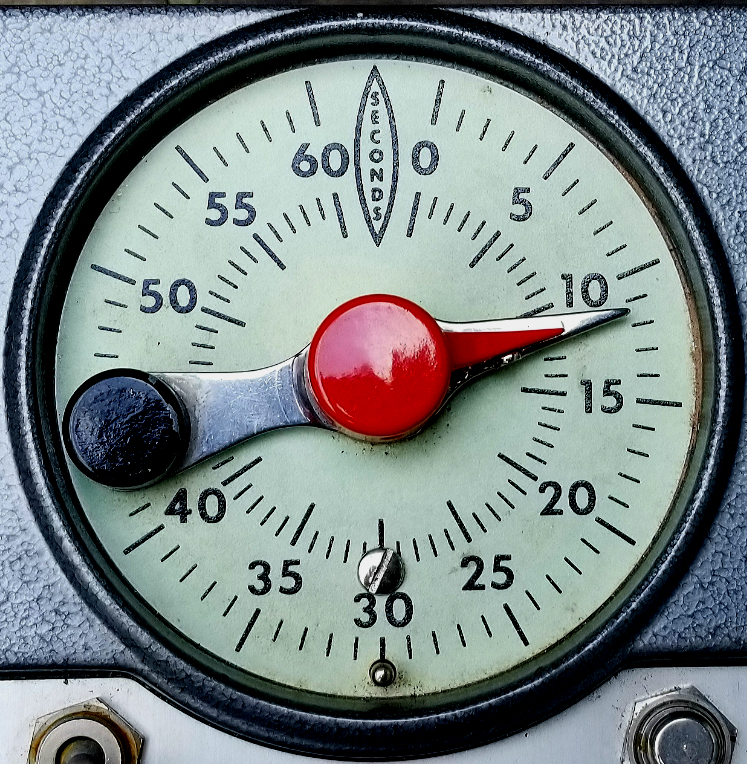 Can I convince you that even though the lettering for the hours is (obviously) not the same as the font for magnetic ink character recognition font, the "checkbook font," that the dial designers may have been inspired by it? If so, this would be a pretty cool, early example of riffing on that theme. This may be the greatest TIMEX ad, ever. 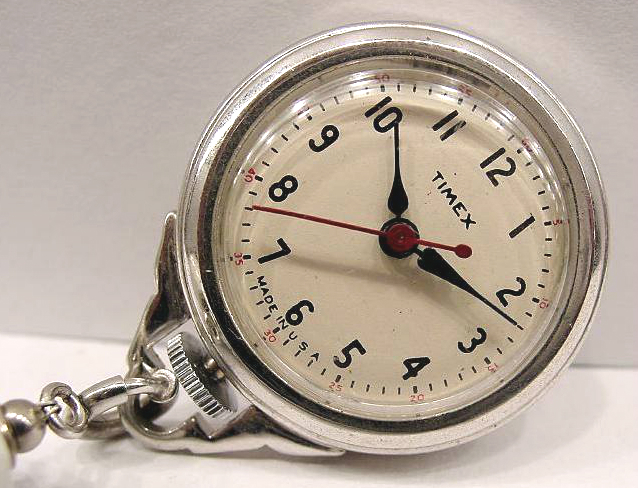 September, 1952, just two years after the introduction of the "TIMEX" watch. Beautiful and stunning radial pattern of corrosion, brown and green, on the dial of this 1965 TIMEX date Marlin. 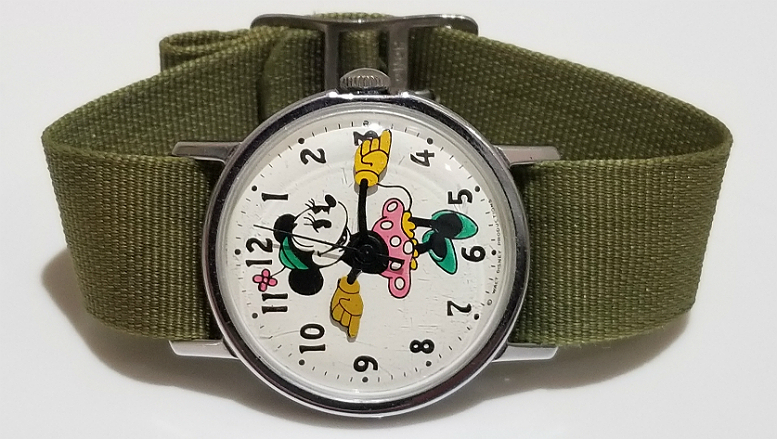 Steamboat Willie Camper Watch, from Japan Disney x Japan TIMEX, November 18, 2018, in celebration of 90 years of Mickey Mouse. All in greyscale, like the original 1928 cartoon. 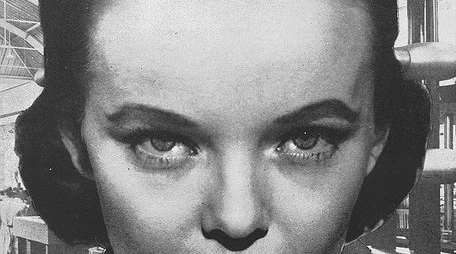 For a character watch, "almost elegant." Based on the beloved "Original Camper" base model. 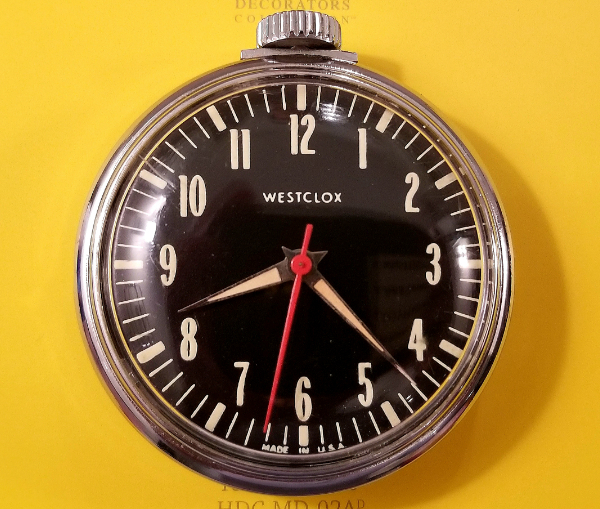 WESTCLOX pocket watch. Nice black dial, good high contrast appearance. LOUDLY ticking movement, see/listen to the short video included in this page. Timex Camper Watch from 1983. Proof that the iconic mechanical watch goes back at least as far as 1983. 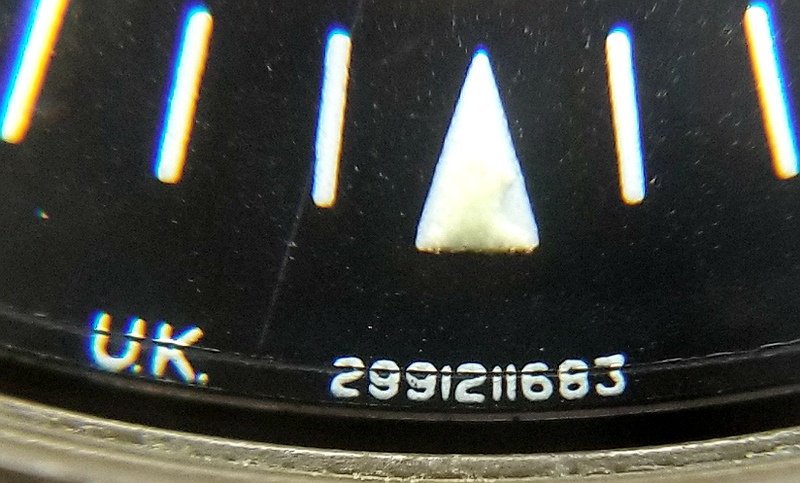 The date codes are all hidden under a metal ring at the edge of the dial. 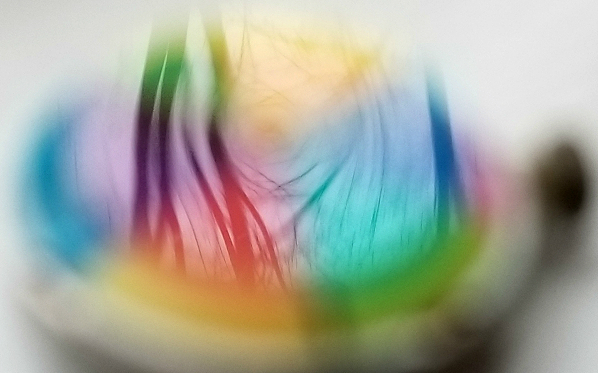 You need to take off the crystal, and then the ring, to see it. Extensive write-up with detailed pics of this early TAIWAN Camper with the old-school dial logo. A must-read for Camperfans, and milwatch fans in general. 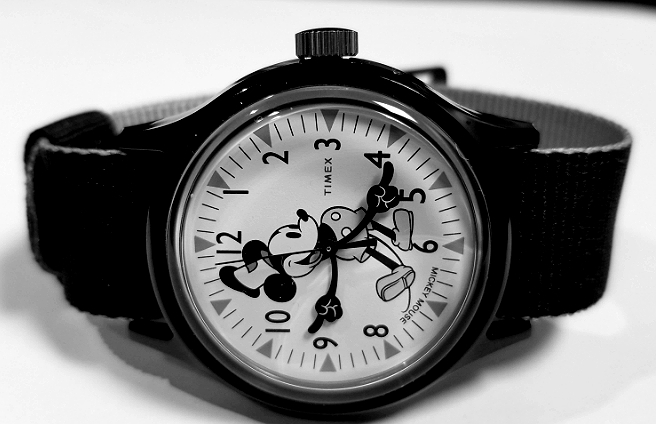 1971 Mechanical Minnie Mouse TIMEX watch. Unusual to have a seconds hand, this model. I have militarised Minnie Mouse by adding this strap. There is good precedent for it. This is very weird. 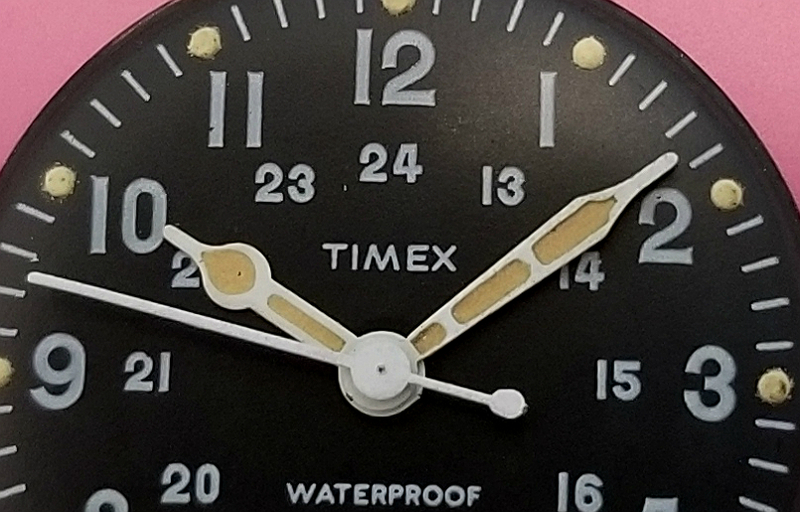 A watch that says "Timex" on the dial, but is clearly not a TIMEX watch made by US TIME. 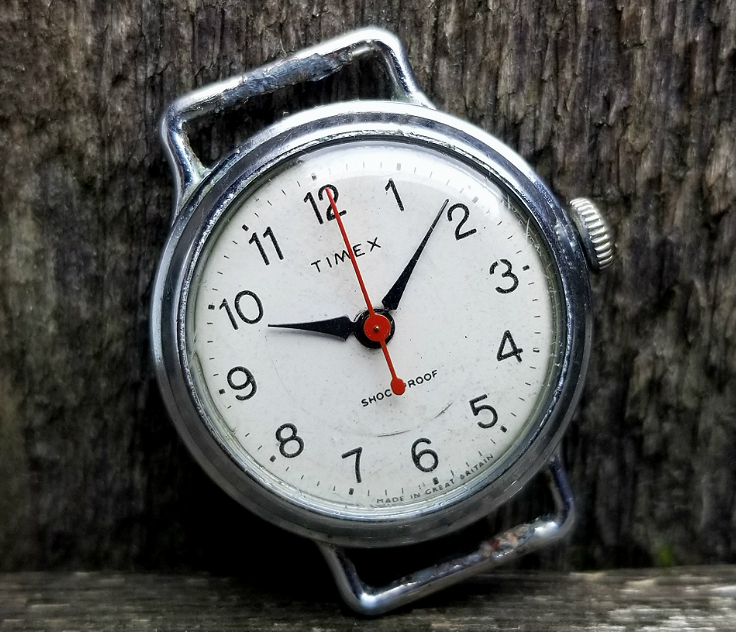 It's a 1940s Swiss watch with a subsidiary seconds dial There is nothing about this watch that is like a TIMEX by US TIME (which debuted in 1950s, years after this watch was produced. What exactly is it, then? 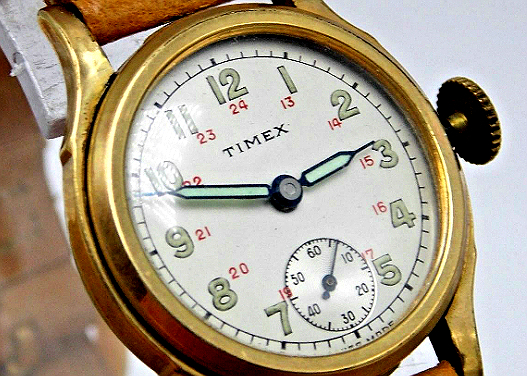 If it's not a "TIMEX as we know it," why is it called TIMEX? Click link to find out more. 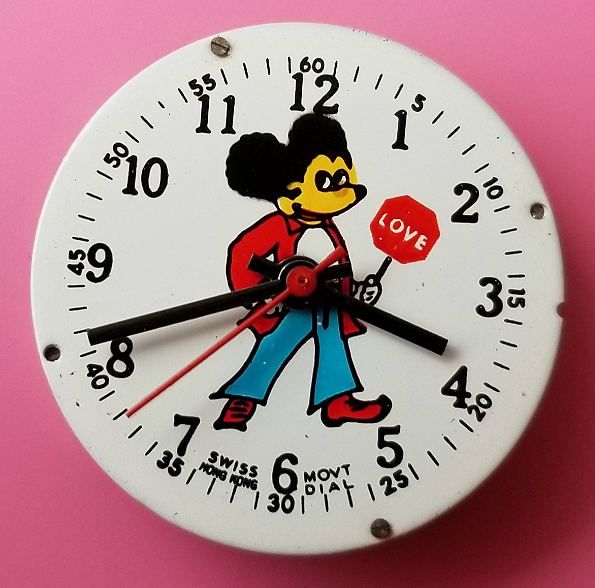 The infamous "Love Mickey" or "Hippie Mickey" bootleg Mickey Mouse watch. 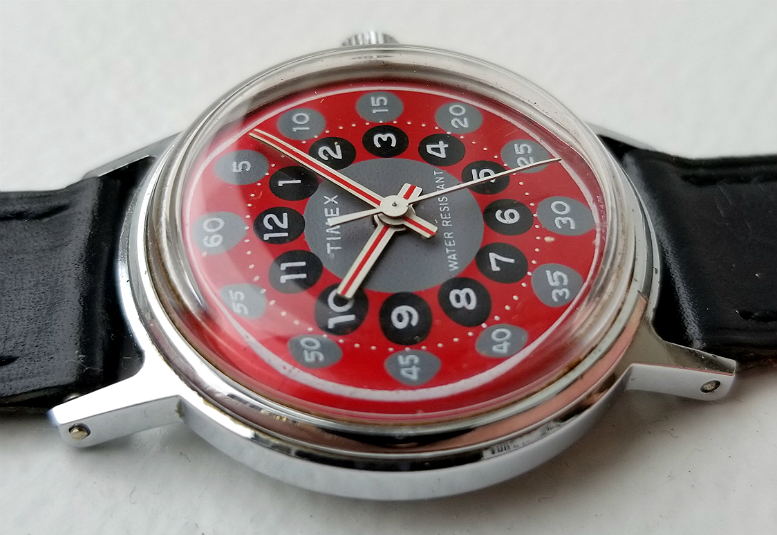 Many variations and different makers of this 1970 watch. Swiss / Hong Kong hybrid. This one was in mint, unused condition, sat in a jeweler's cabinet for almost 50 years. Magazine ad for TIMEX Camper Watch, and what I'm calling the "Mini Camper," in an Italian magazine, 1983. The watch was called THE MARINES WRIST WATCH, in the Italian ad, and features a soldier (I can't tell if he's an actual Marine," which appears like it could be in Vietnam. A very interesting archival advertisement. 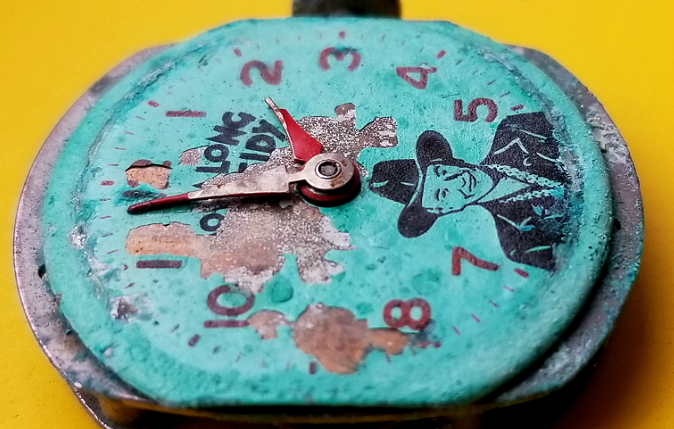 1950s TIMEX Hopalong Cassidy watch, thoroughly corroded, quite spectacular in its decay and dereliction. Not running, "sold as-is," haha. 1950s "Nurse's Watch" from TIMEX. Pinned to the uniform, it hangs upside-down for easy viewing. This is NOT the "very first TIMEX ever, from 1944." It just isn't! 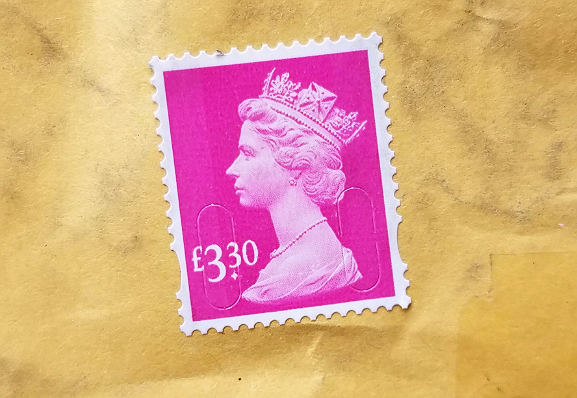 (Note to excited ebay sellers, click on link to see many proofs of its manufacture in the 1950s, not 1944). 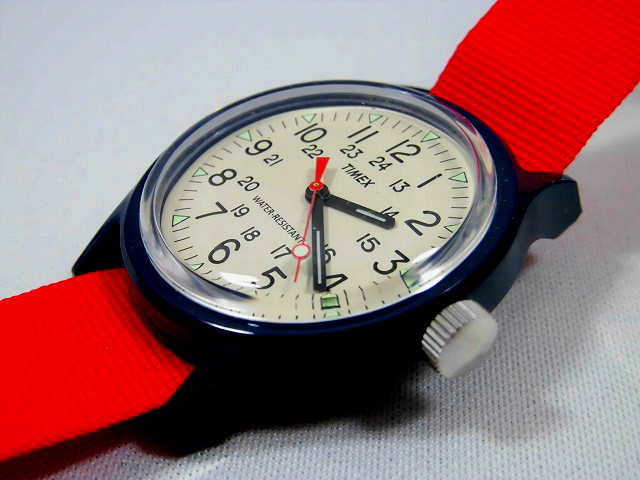 It's made in the 1950s, long after many TIMEX models had been introduced.) Furthermore, I predict that the very first watch with TIMEX on the dial will never be found, or at least conclusively identified as such. 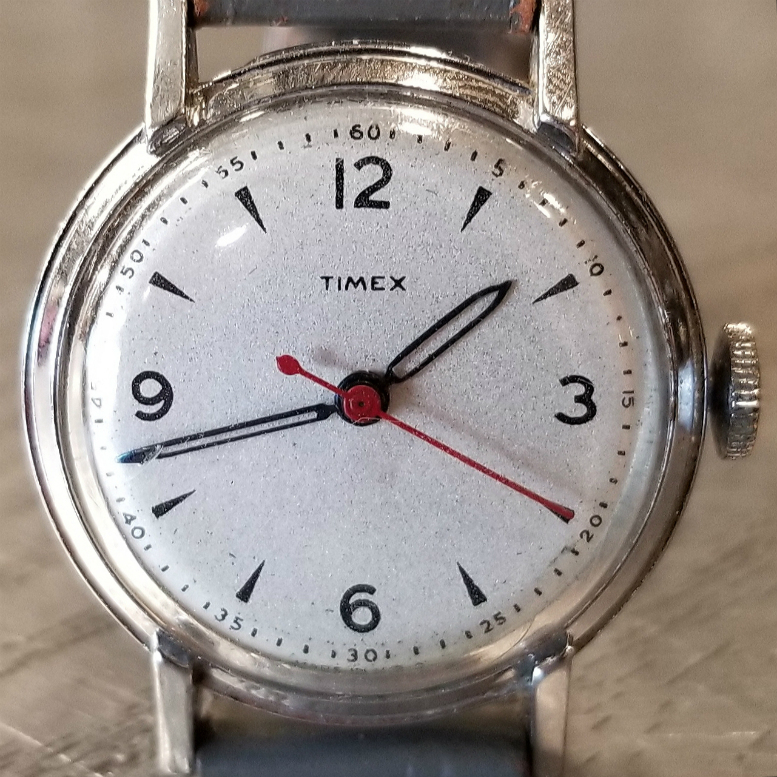 Very weird but also amazing TIMEX where someone did a homemade engraving on the dial that to me is simultaneously ugly and incredible. 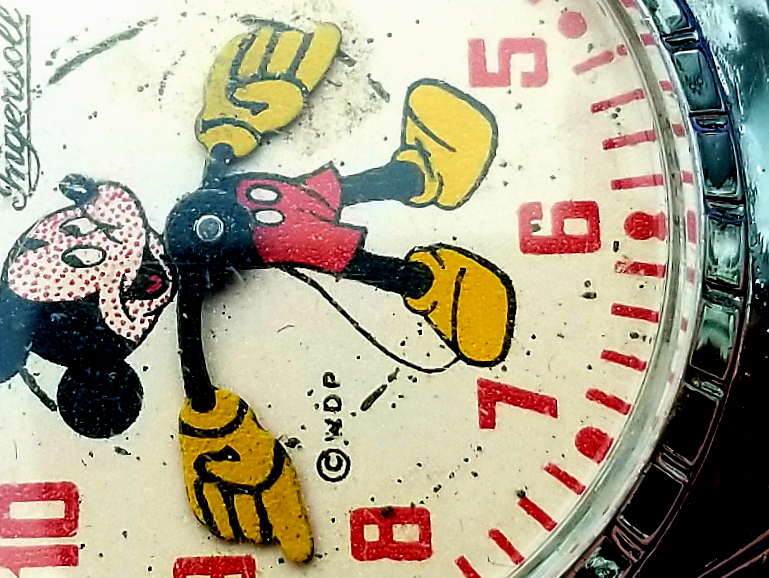 1950s TIMEX Mickey Mouse wrist watch for children. With patent leather strap. Small watch, 20 mm wide minus the crown. Crown is huge, to allow small fingers to wind and set. Nice red theme. Also, why is Mickey's face spotted red? Read on for more. 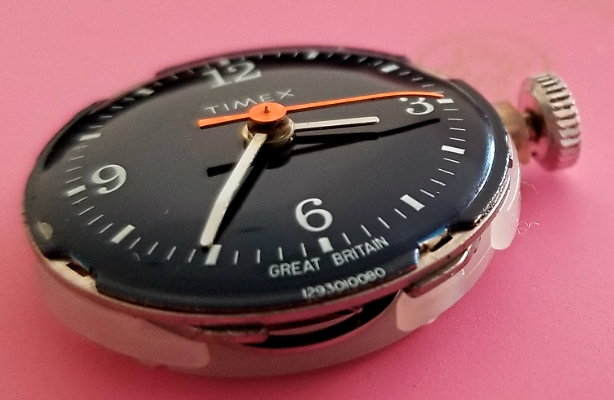 Total disassembly of a 1985 Camper Watch from TIMEX. This is a tough nut to crack, as there is no caseback. 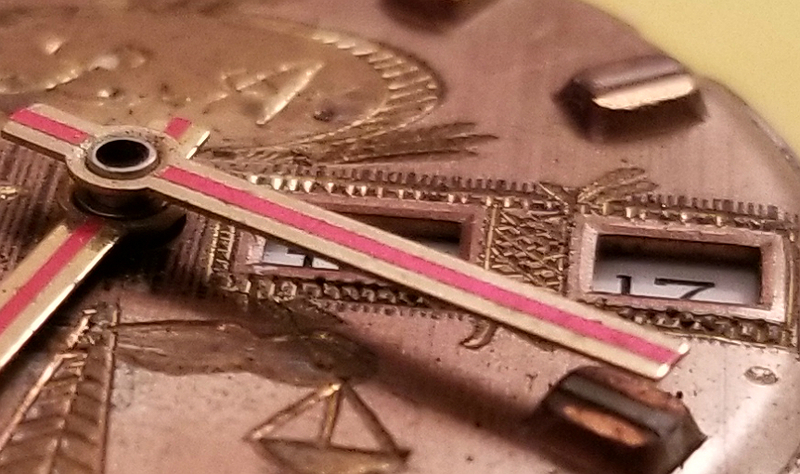 Many people have tried in vain to open the nonexistent caseback, with gouges and scratches to show for the effort, but not many have gotten into the movement, which has to come out the front, after removing the crystal, and then (very painfully) removing the crown/stem. Click to see what we found out. 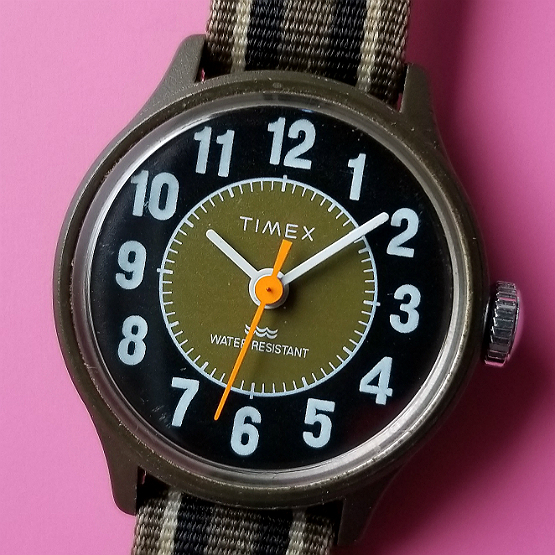 1967 "military style" Sprite model, from TIMEX. 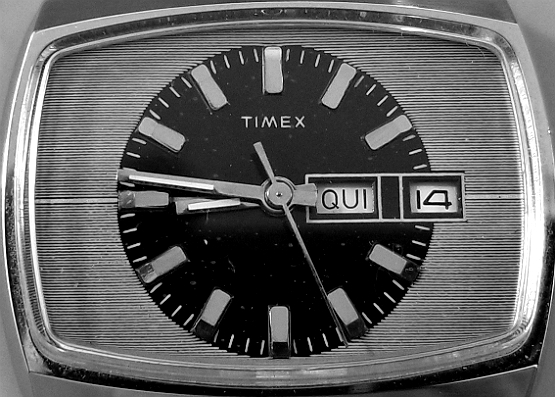 This may be the earliest TIMEX-branded wristwatch to have this degree of "military" themes, though it was 100% an ordinary consumer wristwatch, and may have even been marketed to children. 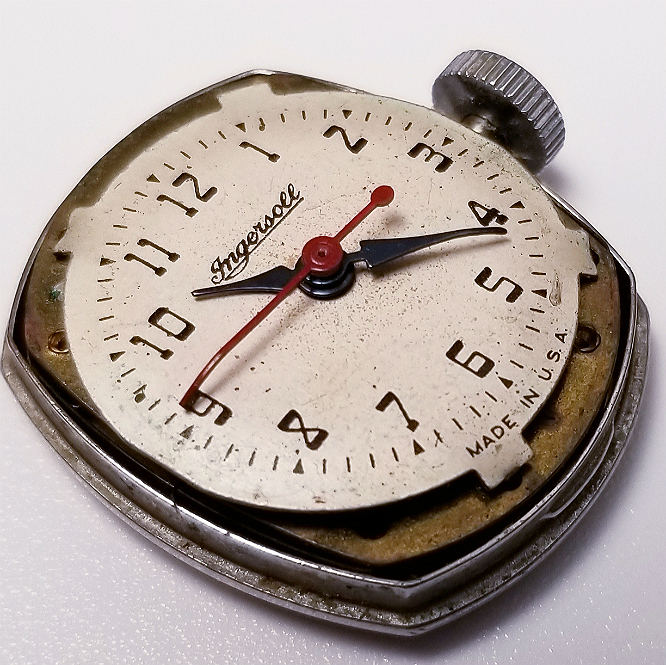 1940s "pre-TIMEX" watch from US TIME branded INGERSOLL. It had the #20 movement, which pre-dated the TIMEX movement #21. 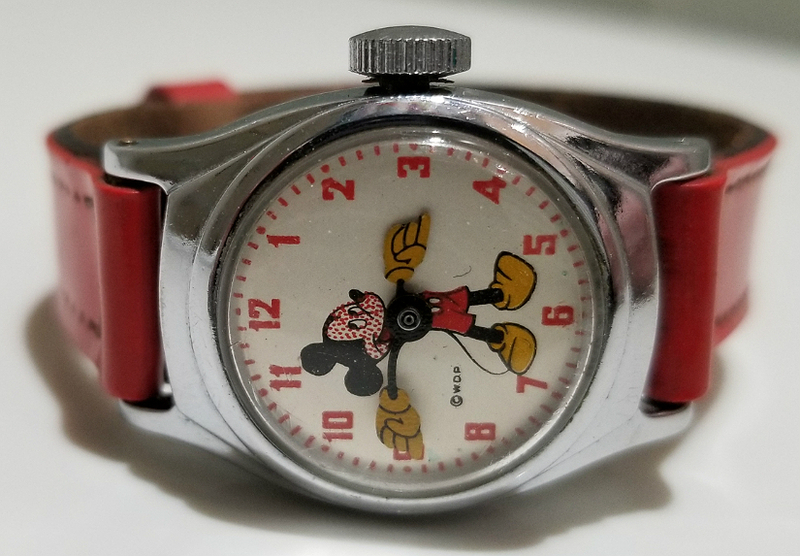 Pretty cool Mickey Mouse watch, the larger of two that were almost identical except for size. 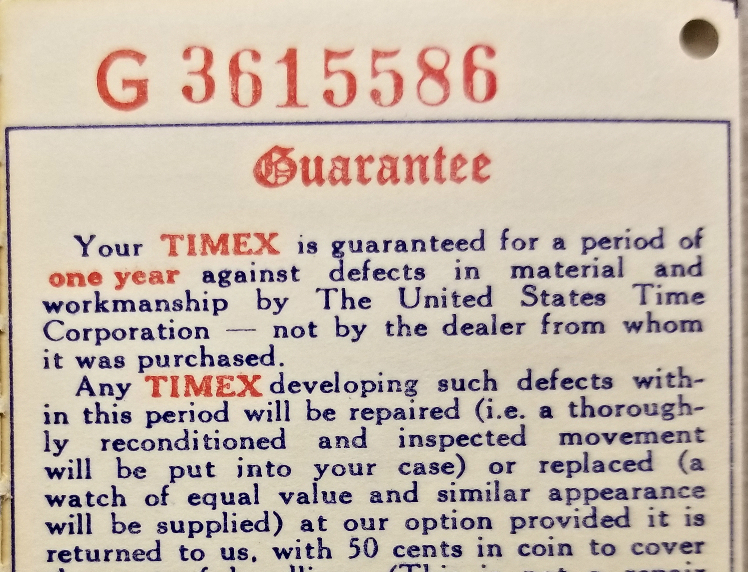 1950s TIMEX warranty card. 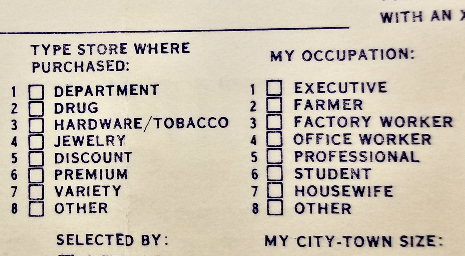 More interesting than I thought it would be, including all the demographic information they collected on the card, and the presence of a now long obsolete "punch hole" method (not machine reading) for sorting information.